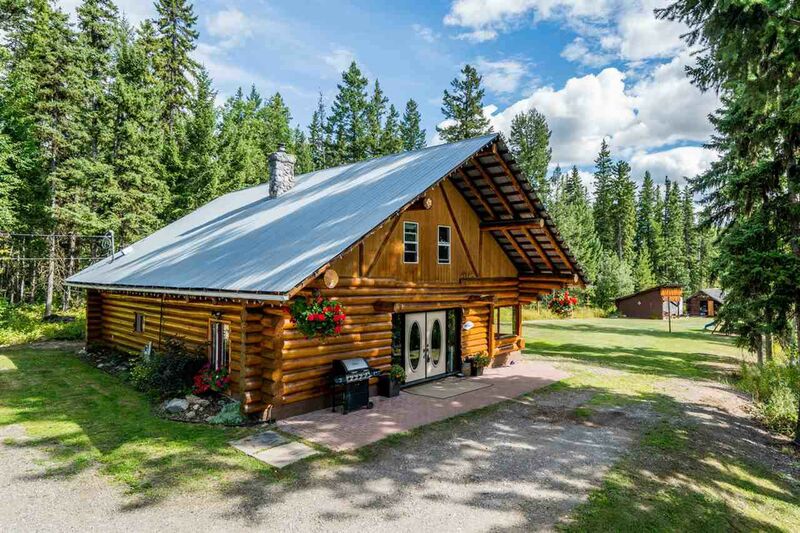 The beautiful, updated log home on 7.2 picturesque, private acres is wonderfully done and will truly impress. The main floor flaunts brand new kitchen with eating island, pantry, and heated tile floor plus an enormous loving room that features a brilliant floor-to-ceiling modern river rock fireplace, and all new laminate flooring. Hand-built craftsman-style log stairs lead to a gorgeous upstairs family room with vaulted ceilings, exposed log trusses and big spacious bedrooms. Outside, the private acreage has been selectively cleared with tall, impressive, Douglas fir trees remaining and meandering fields with ponds fenced for horses. New natural gas radiant hot water heat system is super efficient.